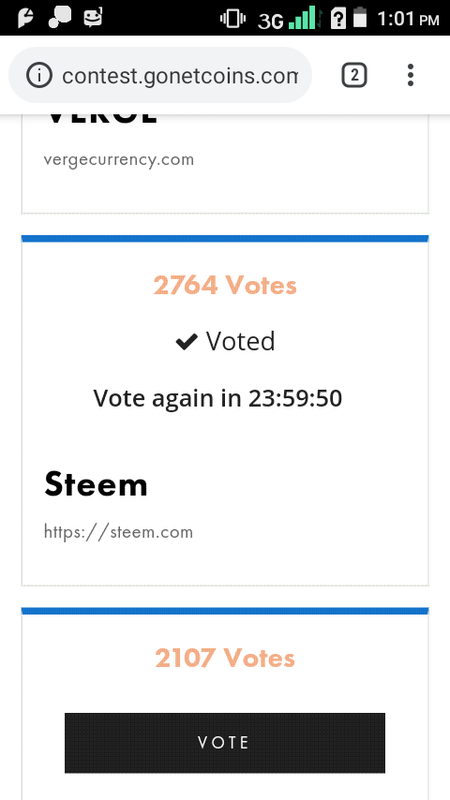 STEEM is currently in 3rd place, with 4 days to go. 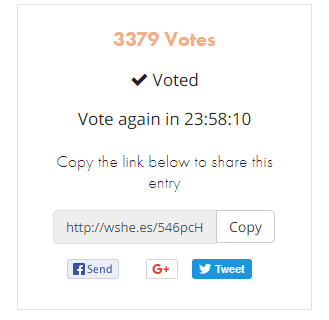 You can vote once per 24h, so do it every day until the contest closes. 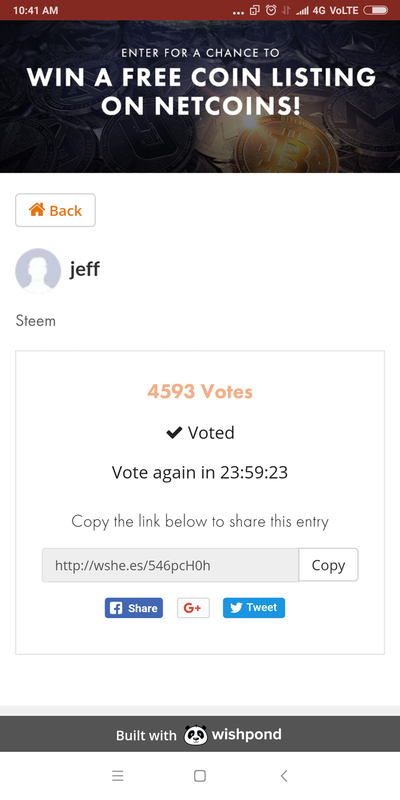 As an inspiration from @acidyo's post, take a screenshot of your vote (like the one below), put it in a comment to this post and I'll upvote it. 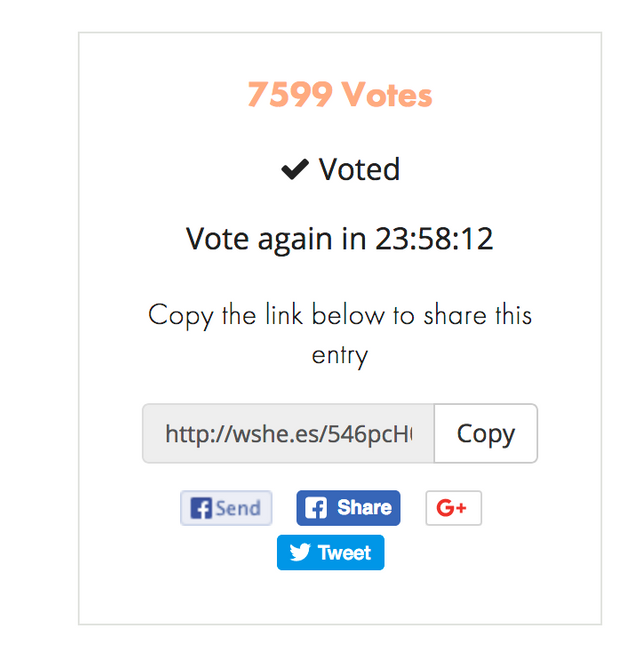 Your vote number must be higher than mine (2566). 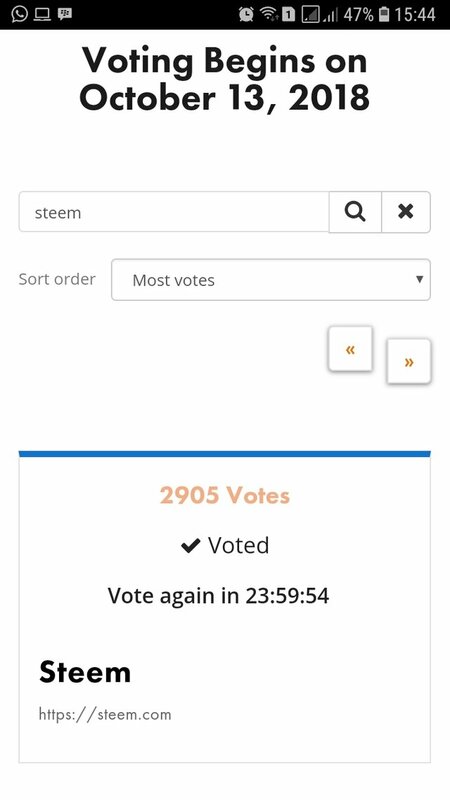 The more STEEM is added on exchanges, the merrier. 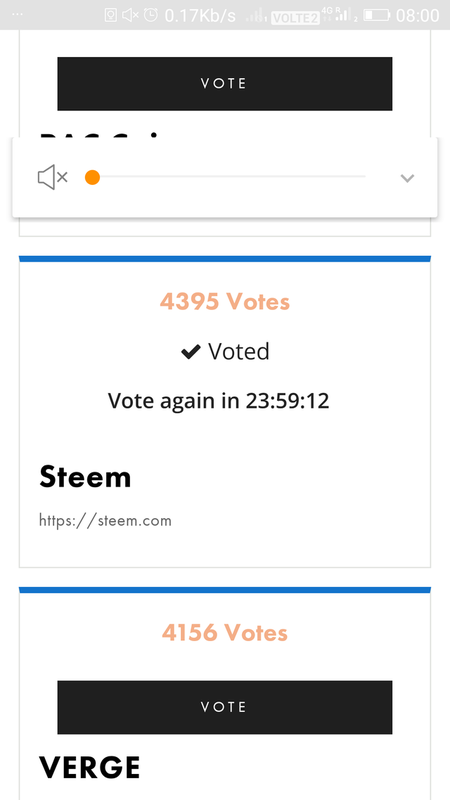 It allows more trading and promotes STEEM in the crypto world. 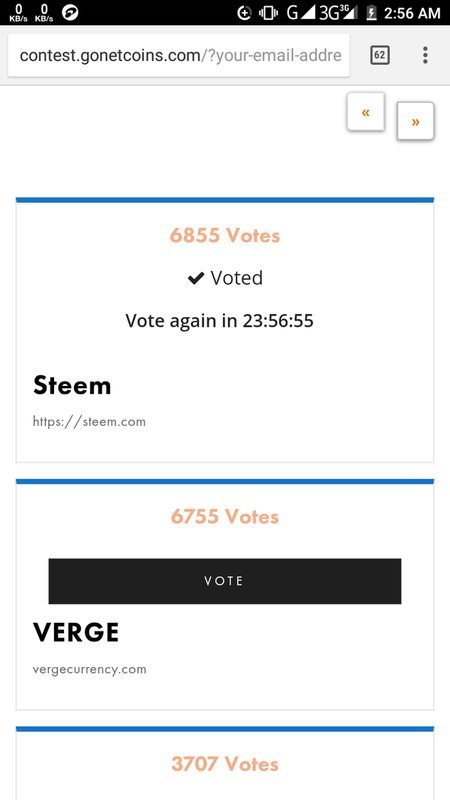 With an overwhelming response, STEEM is catching up very fast to the #1 spot. 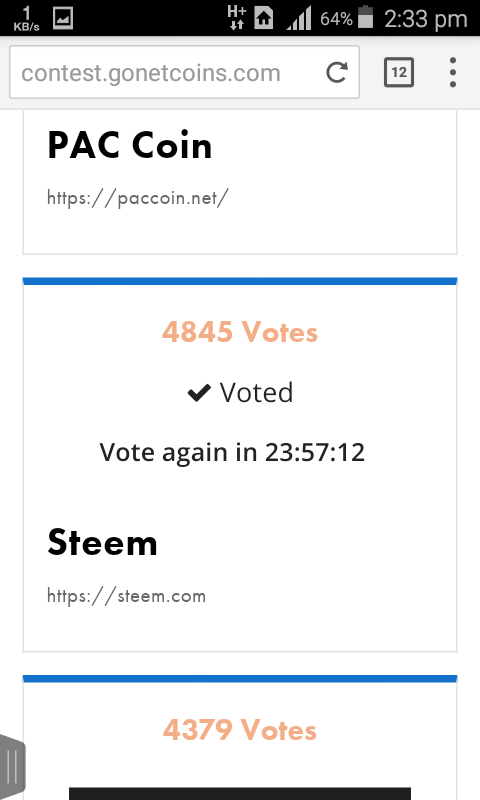 PAC Coin gained around 200 votes, while STEEM gained 700 since last night! 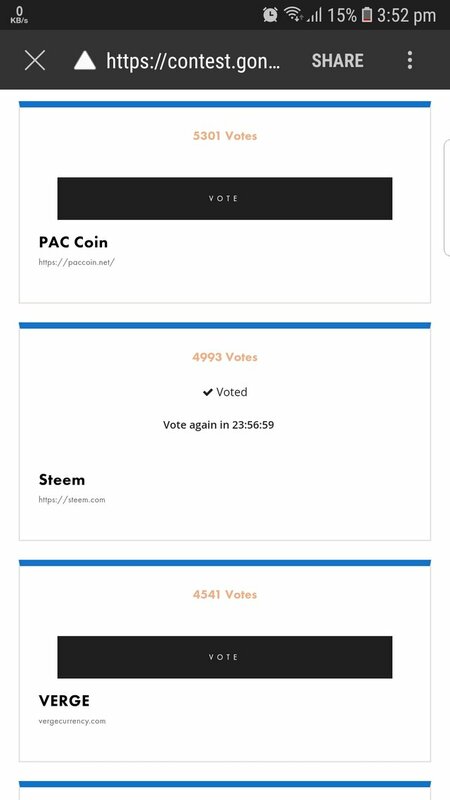 Let's show Netcoins how strong our community is. 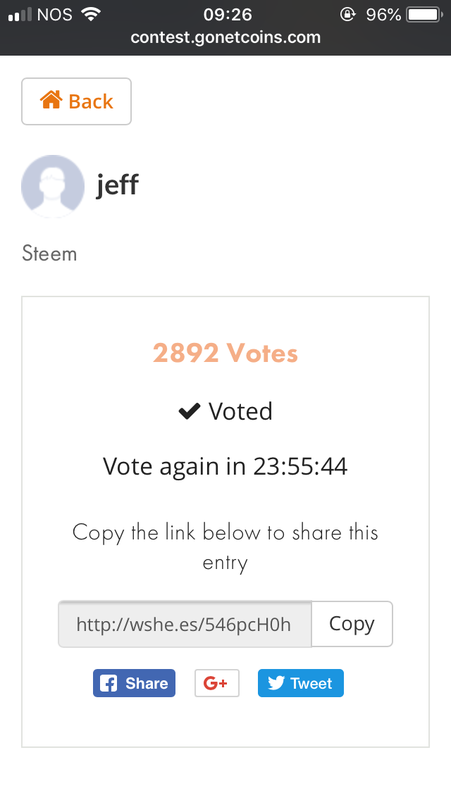 On the downside, I was happily upvoting the first respondents to my post with 50% upvotes last night, then woke up this morning with a flood of participants. I had to reduce the upvotes to 20% so I don't drain myself too fast. 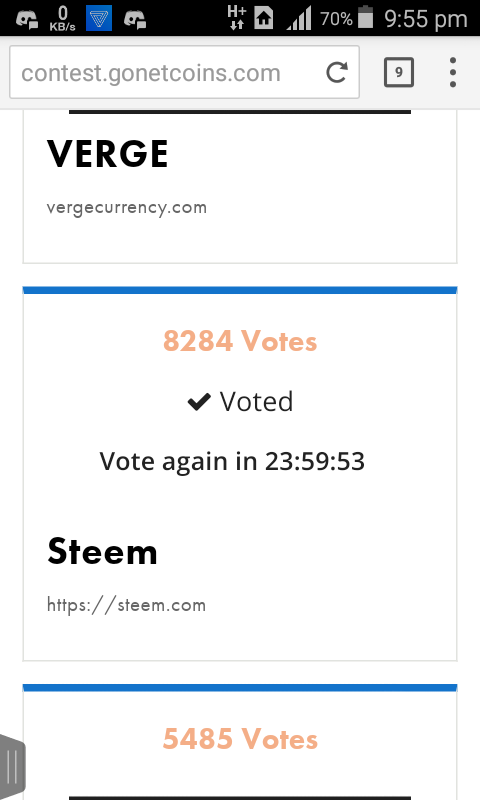 I'll resume the upvoting when I'm recharged back to 100% VP. 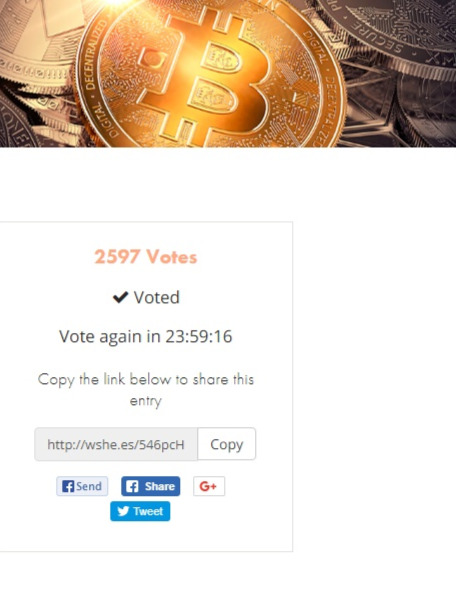 Don't worry, all participants who will show proof until 20 October will get my upvote. 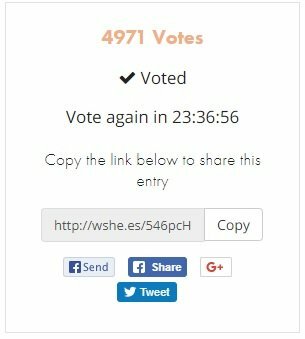 The upvotes can continue past that date until I have covered everyone. 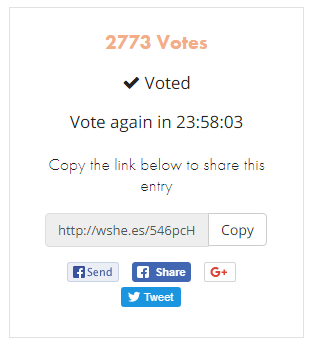 Please don't post twice, I will only upvote once per user. 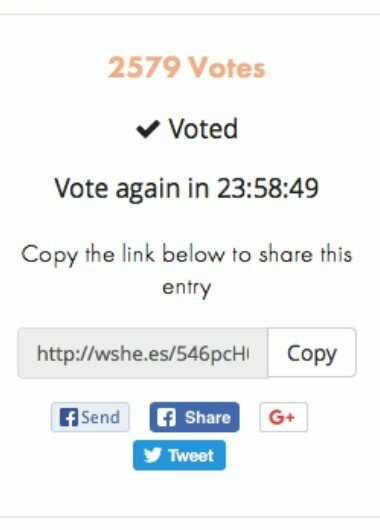 Check my guide about Voting for Witnesses. 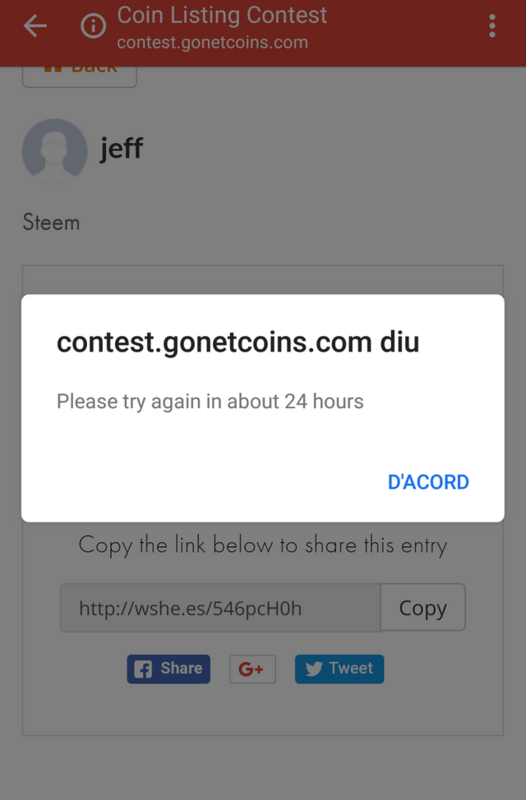 Go to https://steemit.com/~witnesses. 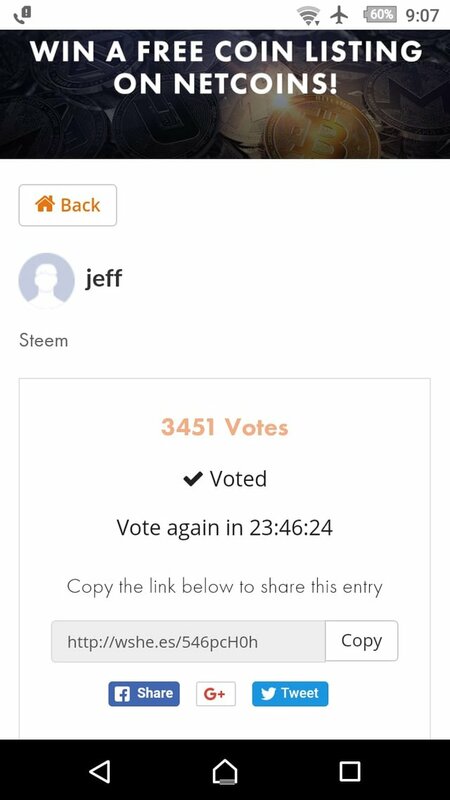 My name is listed in the Top 50. Click once. 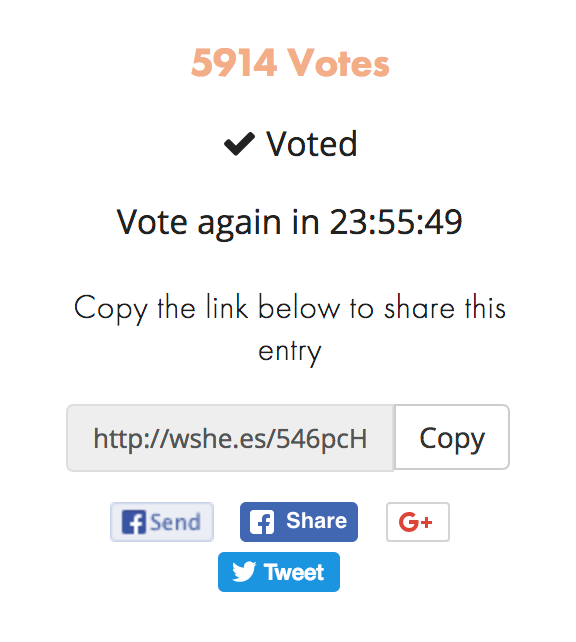 Please comment only once, I'll give one upvote per person. 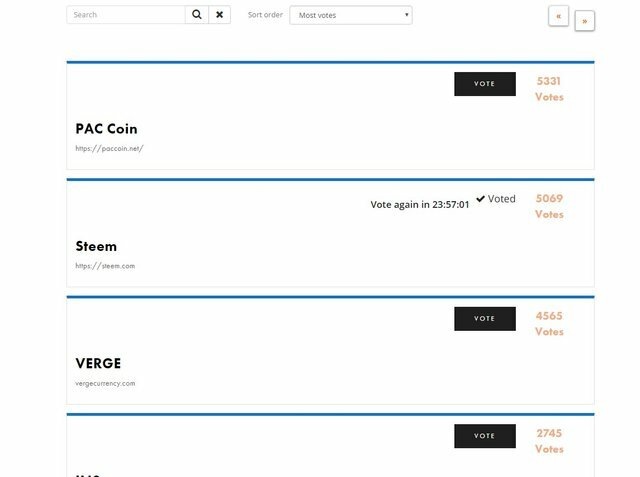 But vote on Netcoins every day until the end of the contest so we can win. 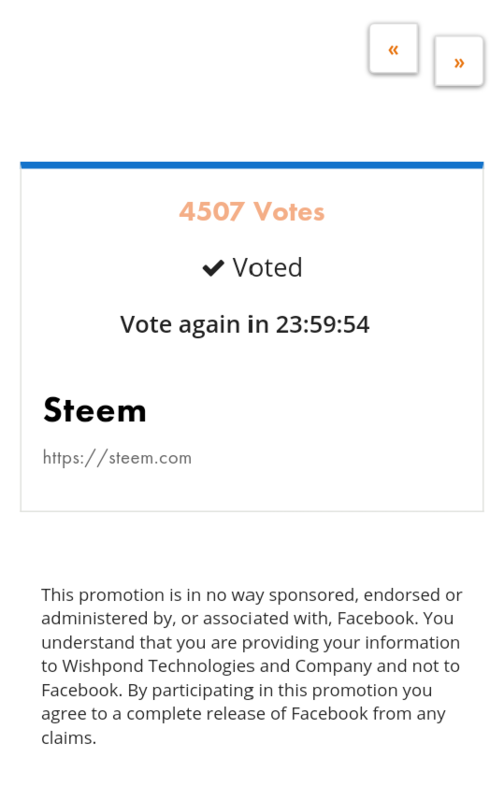 My second vote for the steem. 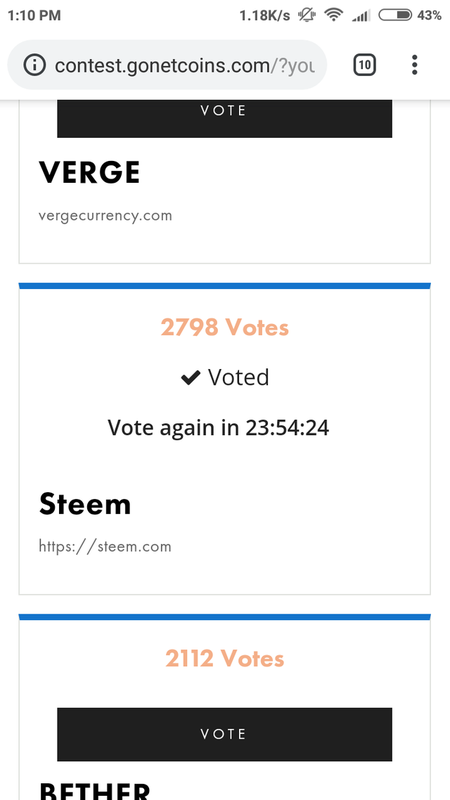 Voted! 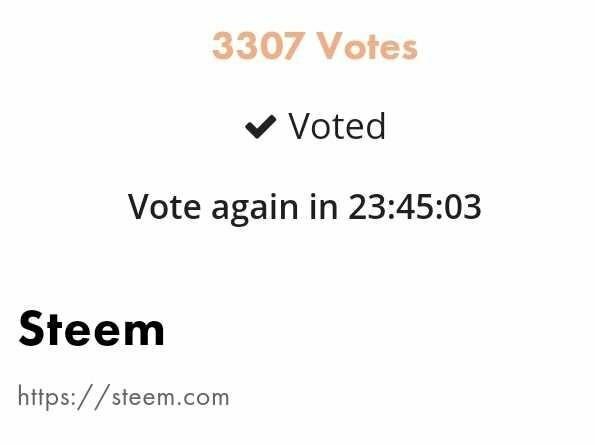 Waiting for the next day! 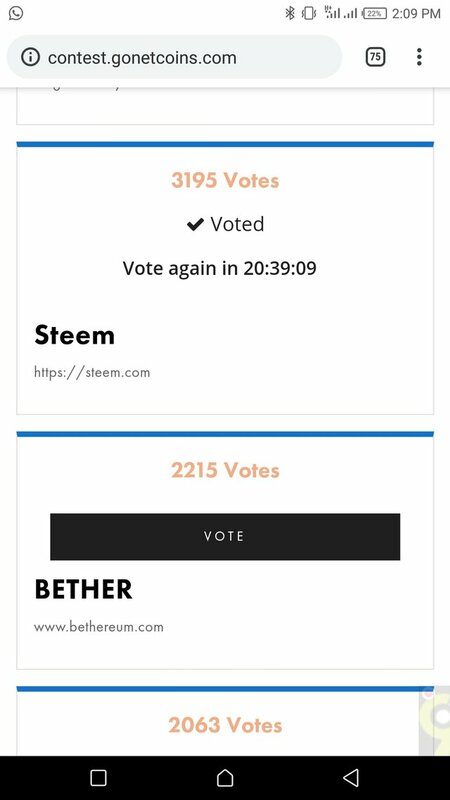 I want to see Steem in the 1st place. Did this. 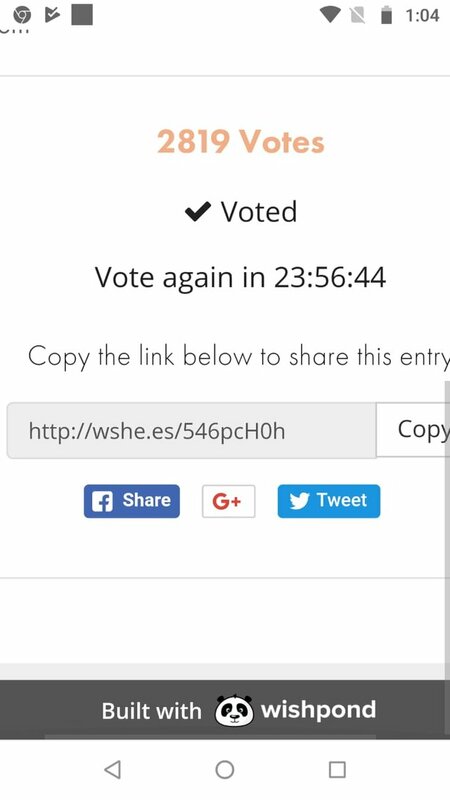 My third vote is due in another 12 mins. 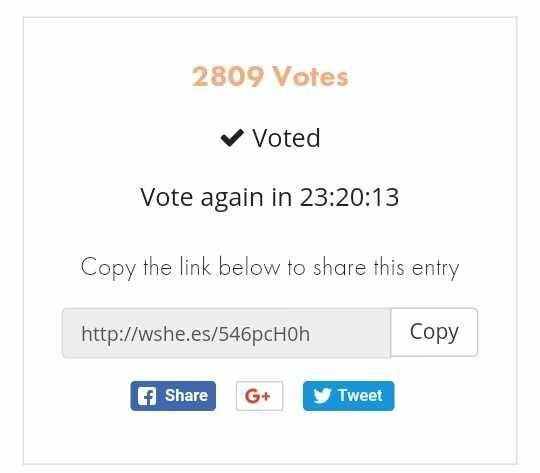 We are only behind by 83 votes now. 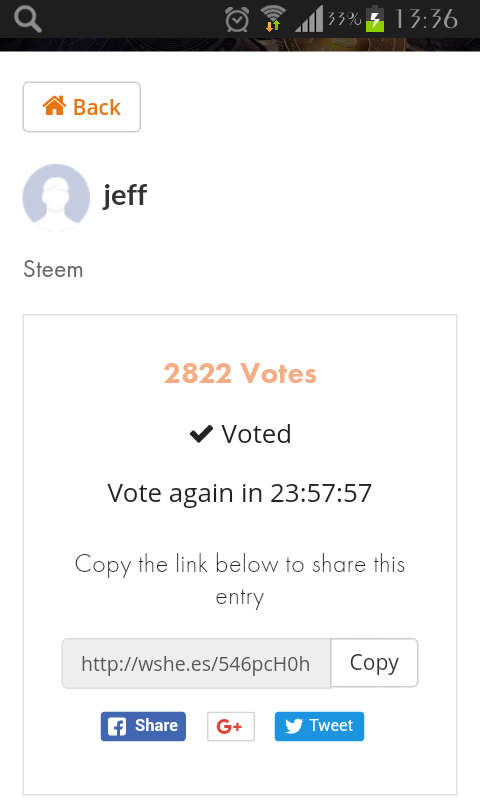 I voted yesterday and I will vote! 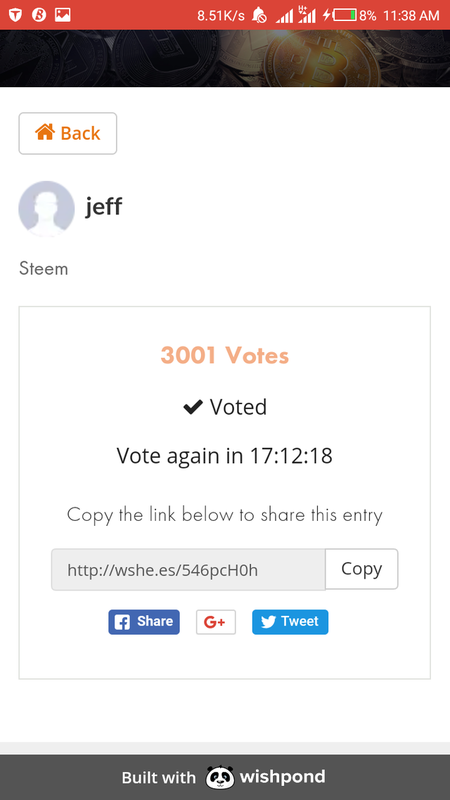 It's my 3rd day of voting. 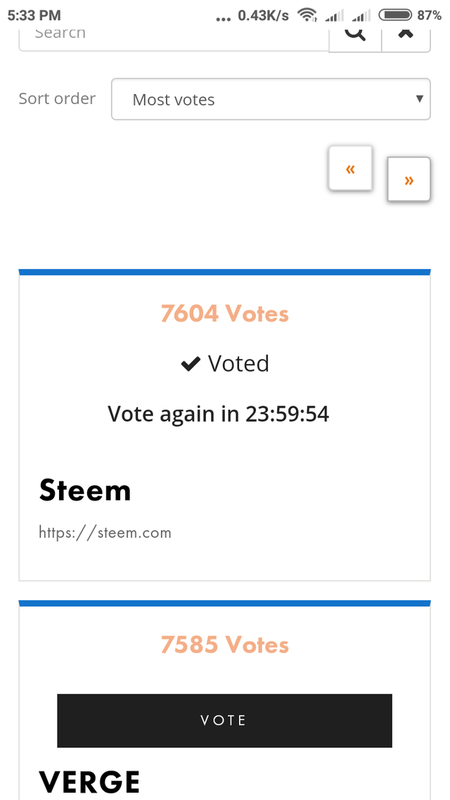 Steem on the 2nd place right now and i hope we'll get it on number 01. 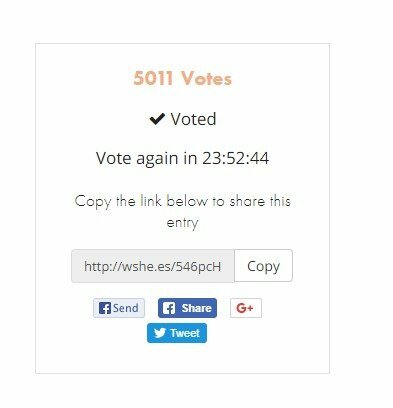 Done voting for today! my first was yesterday.. 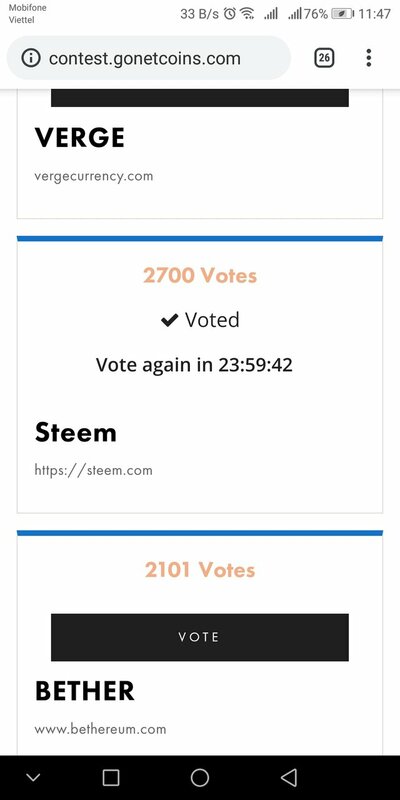 I think, in 20 hours, steem gained 1st position. 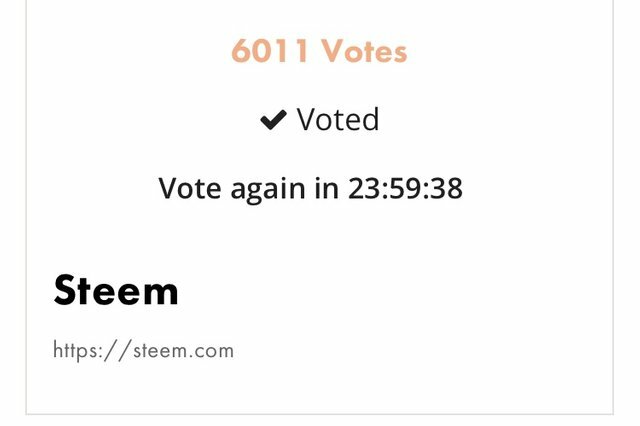 Today's vote. 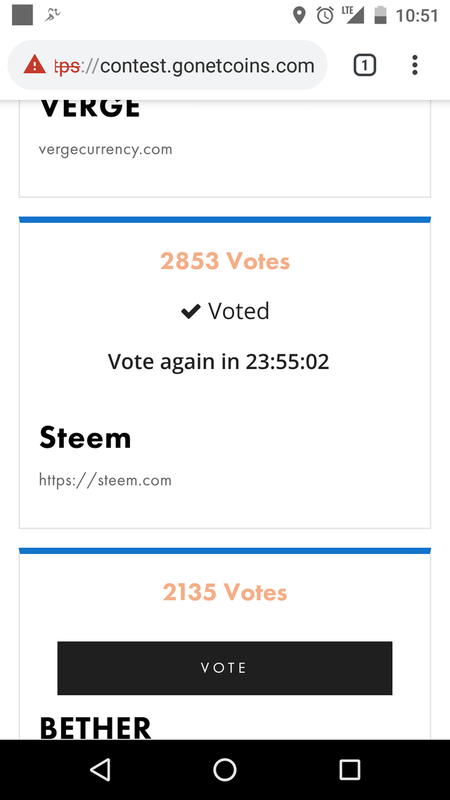 Steem is really close to second place now, we can do this! 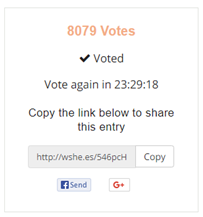 Doing it every day and publishing the statistics as well on my blog. 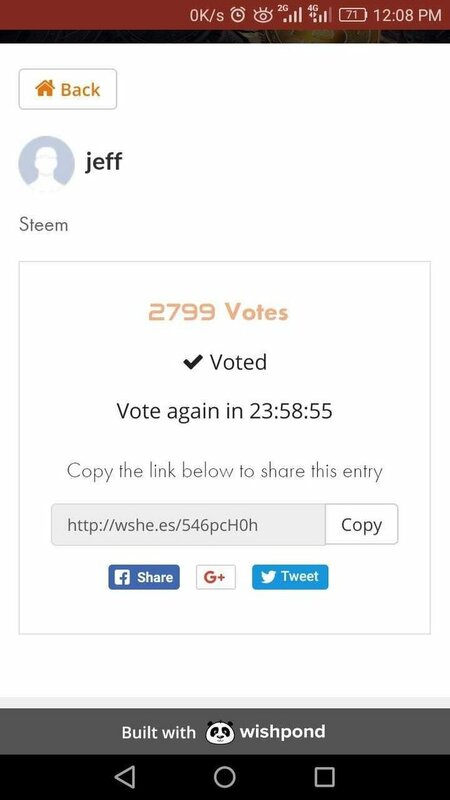 Hiii @drakos, Hope for the best and Steem will get a Big Win. 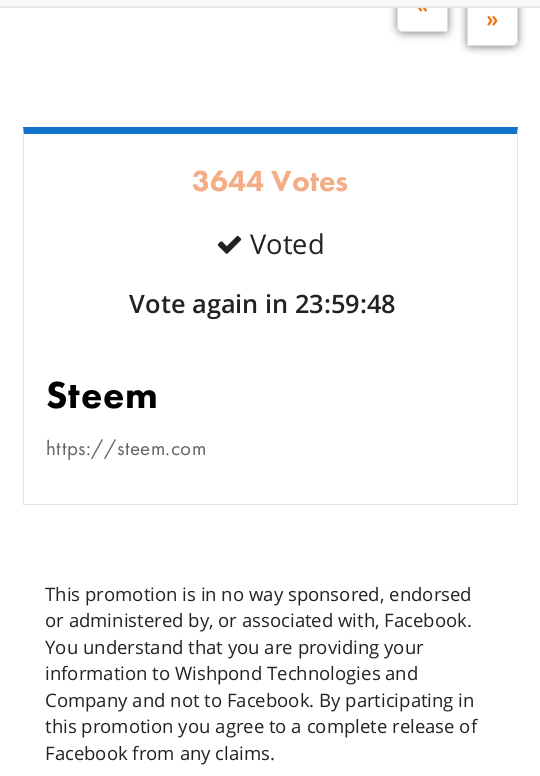 Here is my contribution for voting, My 2nd Vote for Steem. 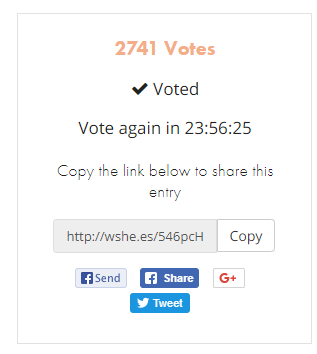 Mi cuarto voto, fue hace horas. 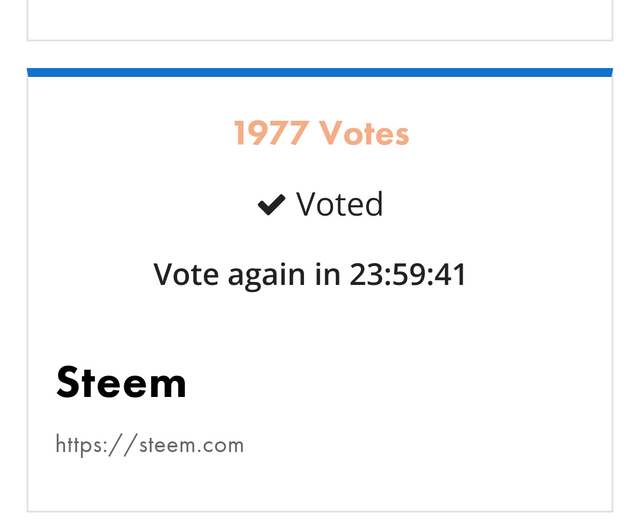 I am happy to help the Steem blockchain get more widely adopted! 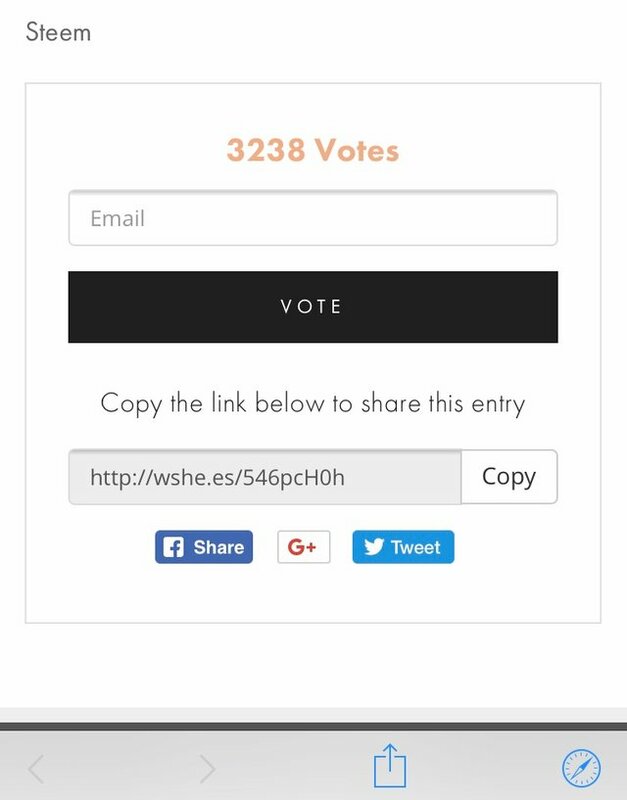 hi @drakos i voted twice and made a post about it too so more people can vote to!! 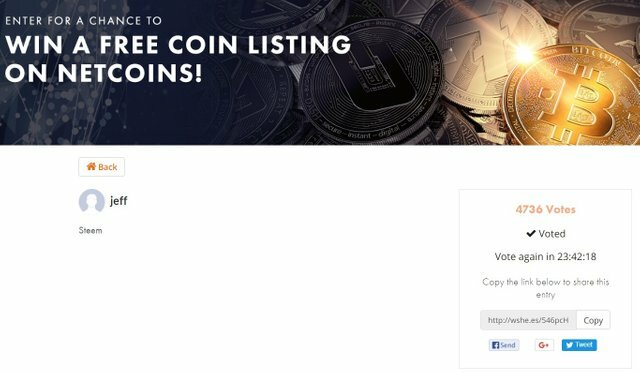 And good news!! 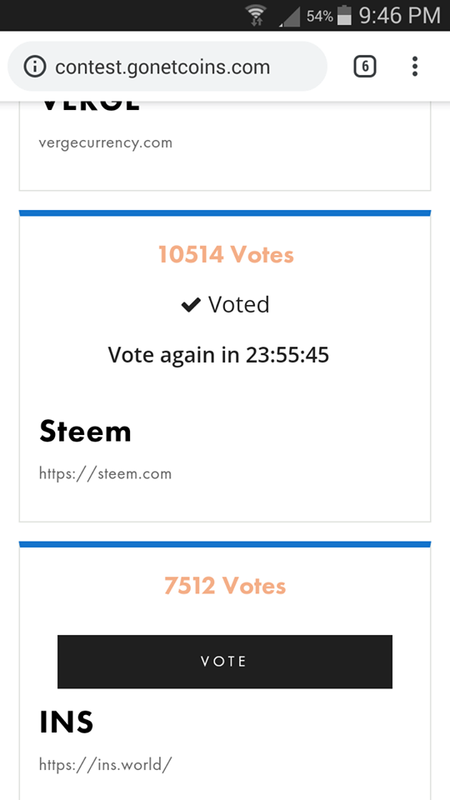 we are on #1 now!! 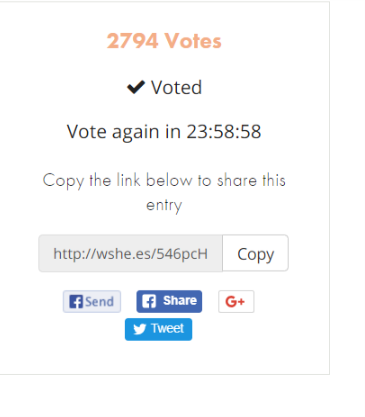 i will be voting again in a couple of minutes!! 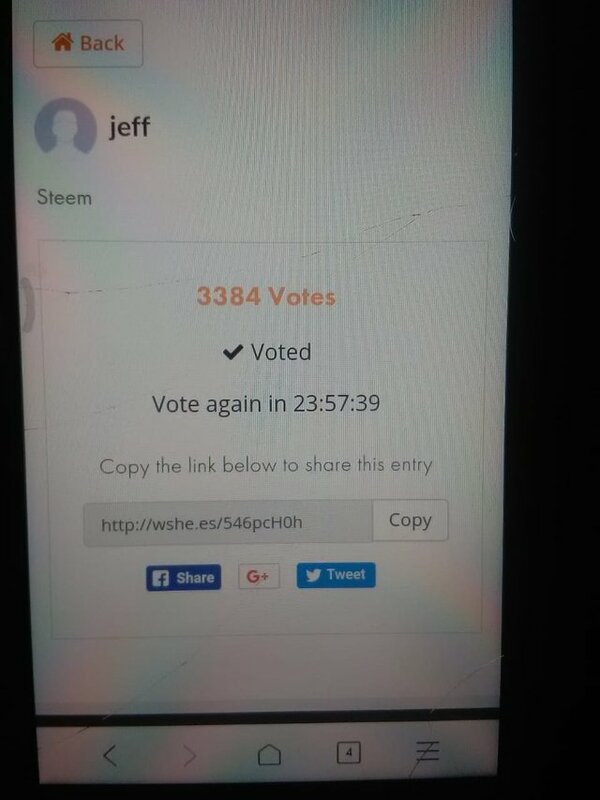 This is a screenshot of my third vote. I don't know why it doesn't look like the other people that voted but it seems like if it is registred afer confirmin it by e-mail. 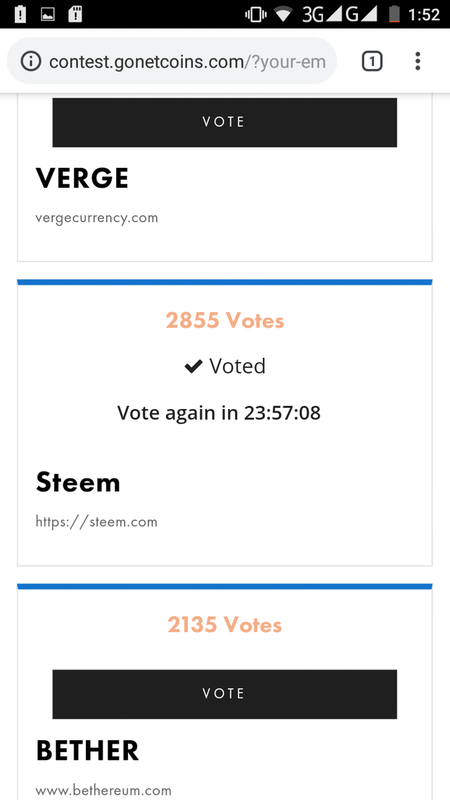 So, Voted! 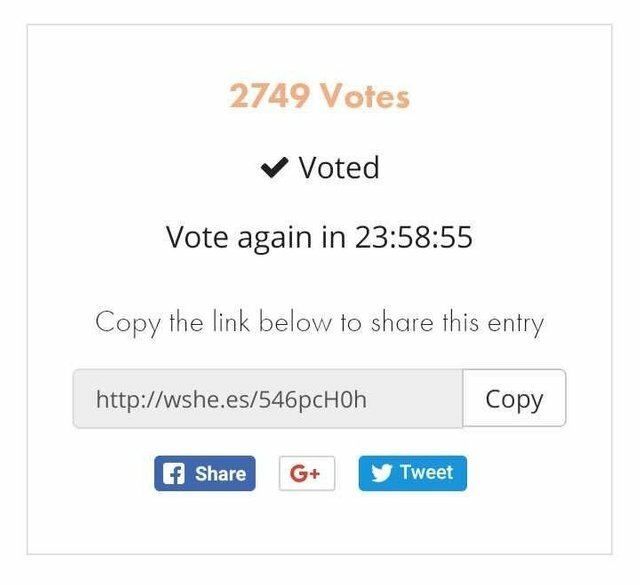 I suggest to set up an alarm clock when you can vote again and do it agan and again till we will win!!! 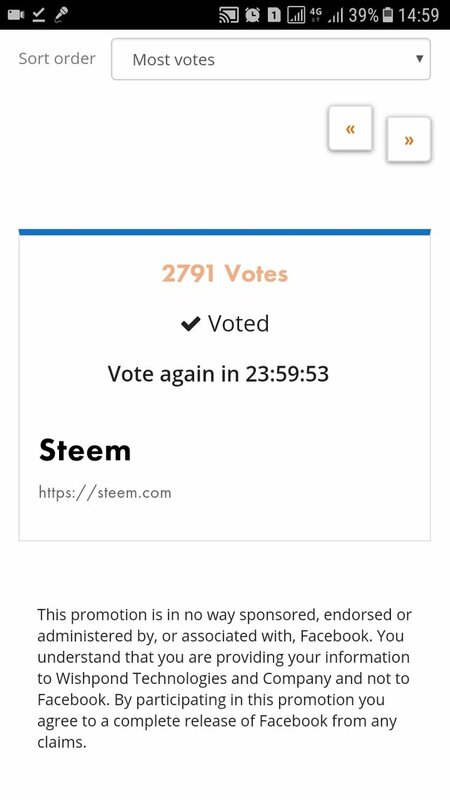 Go Go Steem!!! 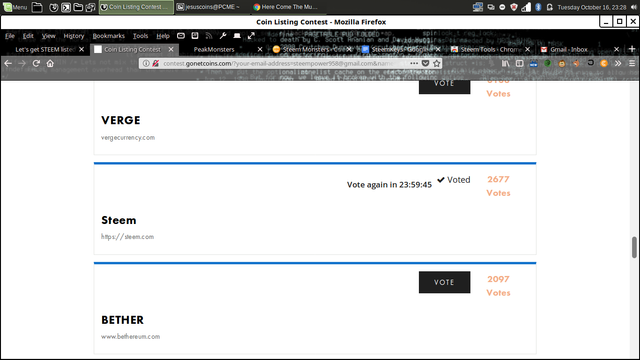 Another contribution to the race for first place. Voted now ,as per your advice. Here is proof. 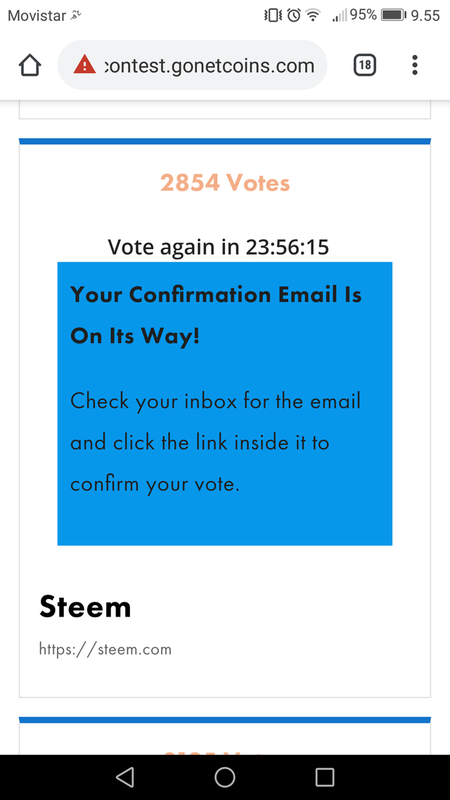 This is my vote for Steem! Thank you @drakos! 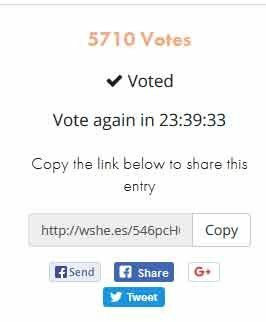 I have voted today and plan on doing so everyday!